This weeks theme is books I really liked but can't remember much about. Boy is this going to be a difficult post for me because I have a pretty good memory for the written word, so I'm going to tweak it just a little bit and list some books that I've kind of forgotten loving so much. You know what I'm talking about. Those books that you read a few years ago and at the time you thought you'd be recommending them to people forever because they were so good, but then time passed and you found other books that you're going to forever recommend to people because they're so good, and the original books kind of got forgotten. But then you decide to scroll through your Read Shelf on Goodreads and come across that book and think to yourself "Oh my gosh, how could I have forgotten this the other day when so-and-so was looking for book recommendations. This would have been perfect for them." Or maybe I'm the only person that happens to and you'll find this entire post a little bit weird, and that's okay too. 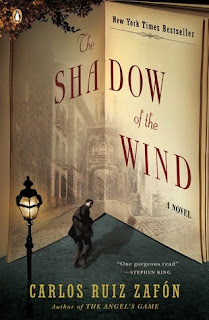 The Shadow of the Wind by Carlos Ruiz Zafon - Any time I see this book mentioned on another blog or Facebook, or pretty much anywhere honestly, I immediately think "Oh my god, yes. That book is so good," but I often forget about it's existence when I'm put on the spot trying to offer suggestions to people. My book club in Wiesbaden read this about 5 years ago and I don't think any of us disliked it. Water for Elephants by Sara Gruen - I actually have mixed feelings about this book at this point after the drama involving the author and a whole bunch of Hatchimals a couple Christmases ago, but I have to be honest and say that I really did enjoy this book, and yet I often forget to recommend it to people (even before the Hatchimal drama happened.) And part of my fond memories for this story may include the book, movie, meal bookclub meeting my Wiesbaden book club had to discuss the book because food is life and the way to my heart is absolutely through my stomach. And the carnival food we prepared for the meal was just so yummy. The Secret Keeper by Kate Morton - I don't read a whole lot of mysteries, so when people are asking me for recommendations in the mystery genre, I usually come up blank. That is partially because I always forget about this historical fiction mystery that I absolutely loved when my Wiesbaden book club read it years ago. Although part of that could be that I tend to try and think of contemporary books when people ask for mystery recommendations. 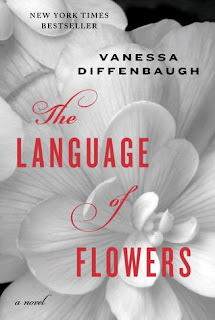 The Language of Flowers by Vanessa Diffenbaugh - This is one book that I actually feel like I need to reread because more of the details are fuzzy than normal for me. And maybe I was just in more of a rush when I was trying to get it read in time for the meeting, so those little things didn't sink in as well, or maybe it's because so many of the details involve knowing the language of flowers, which I don't, that trying to remember this story is like trying to remember dates of specific events for world history, which in the whole scheme of things are not that important for an understanding of history as a whole. Intractable Souls by Tricia Daniels - I forgot this book so hard, that I even forgot to include it on my list of series that I need to finish for the Finishing the Series Challenge I'm taking part in this year. And I absolutely still remember what happened in the story, but after I finished reading it, I was waiting so long for the next book that it fell way by the wayside and completely slips my mind any time I'm giving people book recommendations. And that saddens me. 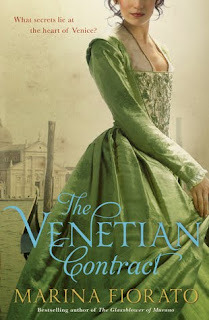 The Venetian Bargain by Marina Fiorato - This was one of my early Goodreads First Reads wins, and I absolutely fell in love with the story. I don't often have occasion for recommending historical fiction though because most people seem to be more interested in contemporary, and I read quite a bit of historical fiction myself, so it just kind of fell off my recommendation radar. And if you're wondering about the discrepancy in the title, it got a slight wording change for American publication, but I had a copy from the not American publication run. And at this point we're starting to get into the books that I've blogged reviews for, most of which I remember loving and that pop up occasionally when I'm recommending books to random strangers so we're going to go ahead and pretend that 6 is the new 10 and I'm going to end this post here. Thanks, I probably won't have time to reread them any time soon because there are just so many books out there that I don't feel I have time to reread, but maybe. I've not read any of these but I'm glad you have such fond memories of them. Thanks for sharing! I like the way you twisted this, I had to slightly alter the topic this week too and actually did the same kind of thing, books I loved when I read them, but I'm not constantly recommending them. I'm glad to see I'm not the only one that adjusted the prompt a bit. I haven't read any of these, but they sound interesting, and I like the covers. Here is our Top Ten Tuesday. I remember these books too...I just had to twist the topic a little bit to fit me personally because I have a really good memory for the written word. 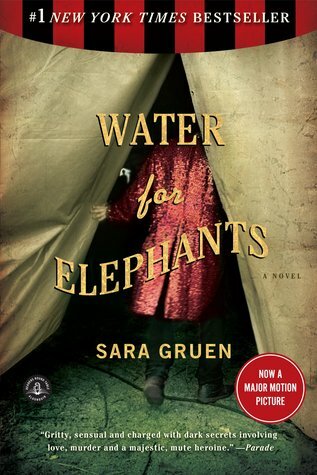 Water for Elephants was great and I also liked The Secret Keeper. Well, really anything Kate Morton has written. 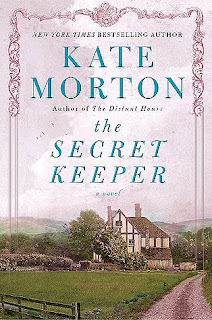 I haven't read anything else by Kate Morton, although I've bought a few of her other books at my thrift store because I enjoyed The Secret Keeper so much...Maybe after we get into our new house and I unpack all my books I'll pick another one up. I think Kate Morton's are just so full of atmosphere it kind of takes the place of the plot in my head. I can only remember settings of both the Morton books I've read. 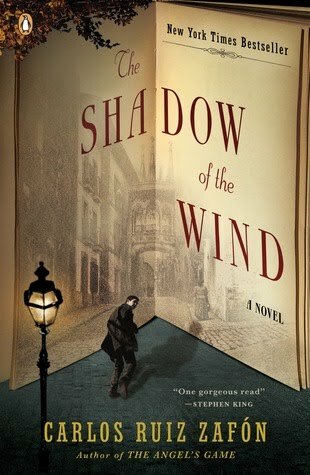 Shadow of the Wind is on my TBR and now I think I really have to read it since it sounds like it was a universal hit with your book club. Having that many people agree on a book is rare! Plus that cover!